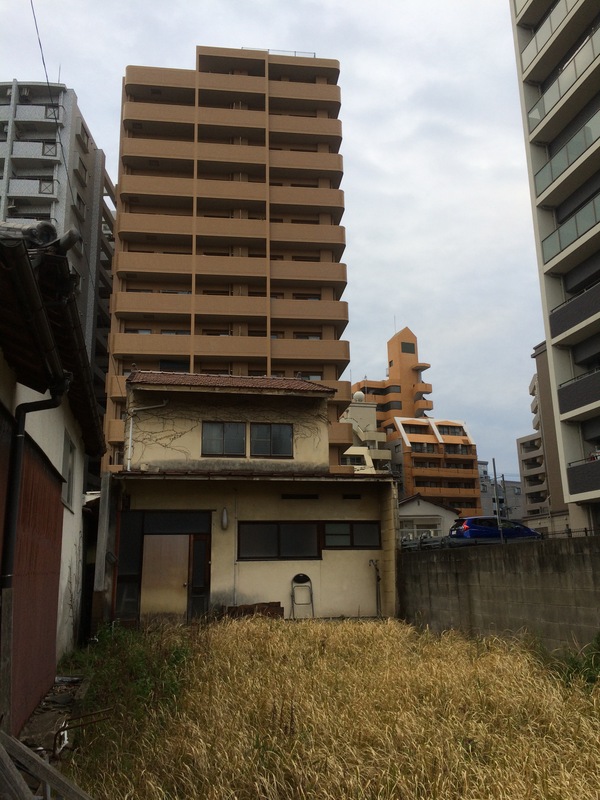 This is an unflattering image of the urban development of Fukuoka but is typical of much building and construction here. It is so banal as to be interesting, with the house’s small building plot left behind to decay, making me wondering why this has happened? The soullessness of the residential towers beyond and the cuboid angled structures that surround them raising even more questions about rights of light, property boundaries and design more generally. Sometimes the individual houses that remain are delightful with traditional timber constructions, fenced yards and manicured planting. The towers can be elegant too but, as with abstract painting, there is a fine line between what captures beauty and not.